Home Politics Does Osun Signal the Resurgence of PDP? Does Osun Signal the Resurgence of PDP? 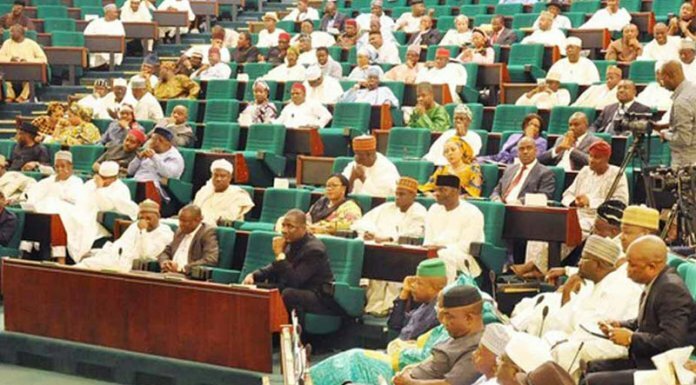 Many surprises were thrown up by the defeat of the ruling All Progressives Congress (APC) at the recent senatorial bye-election in Osun West, Osun State, penultimate Saturday. But one particular surprise trumped the legion others. 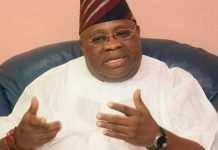 The real surprise was not that the candidate of the Peoples Democratic Party (PDP), Mr. Ademola Adeleke, who could have been the â€˜baby of the APCâ€™ eventually won the election, it was the fact that the leadership of the APC and its emotional followers didnâ€™t see their loss coming. Everything â€“ from every angle of the various analyses pointed to a PDP victory and so it was. Apart from having grown to be arrogant since coming to power, the Osun State Governor, Mr. Rauf Aregbesola, has also failed in the area of rudimentary governance, evidently since he secured his re-election in 2014. The fervor that typified his rise to power in his first coming in 2010 had waned. The ship of state had become almost rudderless; reality check was a distance away from the seat of power and gradually, like one whose fall was being prepared by the gods, Aregbesola lost touch with the very people through whom he gained prominence in the first place. With the benefit of hindsight, Aregbesolaâ€™s re-election was in reality a miscalculation. Had he left office, leaving behind the mess he spent his first four years creating, the stench of his palpable ineptitude would have been blown away with time and by now the focus would have been on his successor. The truth is that Aregbesola went into his second term election very broke. But with financial help from different sources and aided by the propaganda machine of the change movement, which was made possible by President Muhammadu Buhariâ€™s larger than life image, he managed to waltz through. But it was not going to take long before these inadequacies started to manifest. Even longer than it happened in his first coming, it would take Aregbesola about two years before constituting his cabinet in the name of cost-saving without a commensurate effect on the people he claimed to be serving. He was the sole administrator for two years and single-handedly ran the affairs of state with a practically non-existent legislature. A visit to Osun during this period was disturbing. Poverty could be seen literally lurking around peopleâ€™s abodes. Not even the bailout could change this misfortune of the Osun people. Instead, allegations of fund diversion became the newspeak, even though it has not been proved against the government. And regardless of the degenerating governance in the state with practically everything on hold, the Aregbesola leadership did not cease to be arrogant in its disposition. His ownership complex grew instead. The feeling that he could do everything and get away with it would not let him read the equation accurately. The arrogance of power exhibited by him knew no bounds. His claim to stand astride in both Osun and Lagos and do as he chooses sums it up. But he was oblivious of the fact that time changes and that peopleâ€™s patience was inelastic. 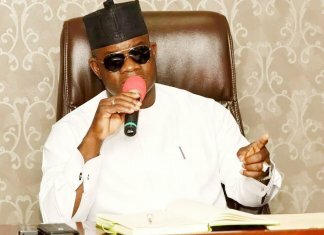 Thus, coming from APCâ€™s avertible miscalculation in Ondo, which was also borne out of the partyâ€™s sheer arrogance of always calling it quit where and when it could not have its way, it was simple arithmetic that the Osun bye-election should have been approached more cautiously, especially given the run of emotion that trailed the passing of the former occupant of the office, Senator Isiaka Adeleke. Not only were unfounded allegations leveled against his government following the sudden death of Senator Adeleke, who was later discovered to have died of painkiller overdose after a postmortem was conducted on him, a female commissioner-designate, Ms Idiat Babalola, was mobbed and almost stripped naked, save for the timely intervention of the Ogun State Governor, Ibikunle Amosun, who rescued her., during Adelekeâ€™s burial. Sadly, all these happened at a time civil servants and pensioners were crying about unpaid salaries and allowances, typified by constant protest and agitation. With scenarios such as this, it could be taken for granted that any smart politician would have taken his time in approaching an election that was crucial to a major one which is just months away. But the distance between the Aregbesola leadership and reality, occasioned by his sheer arrogance left out the application of this emotional intelligence in being able to tell crystal clearly what to do and what not to do at such a delicate time. Unfortunately, from the results of the election, the governor and his team need a lot of introspective thinking, moving forward. With just a local government â€“ Ejigbo â€“ recorded against the name of their party and candidate, Senator Mudashir Hussein, even though it was keenly contested by the PDP and its candidate, Adeleke, when compared to the voting pattern in Ede 1 and 2, control is fast slipping off the grip of the APC and Aregbesola in the state. Most instructively is the fact that the election was more of a contest within the APC than one between the party and the opposition PDP. Clearly, the same side that won the Ondo election was the side that defeated the Osun governor in the bye-election. 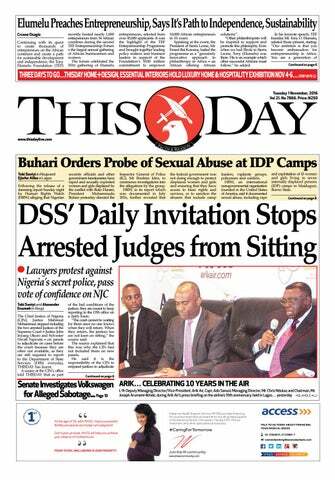 Certainly not the PDP and it is curious. The seed to this ugly denouement was sown during the intrigues that characterised the primary, which compelled the National Working Committee (NWC) of the APC to get the election committee to clear Hussein. 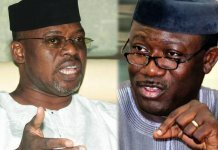 But what this could mean is that there is an internal revolution against a section of the APC leadership and the winning wing of this power subtle appears to have an upper hand, not because it is better positioned but because it realised early enough that the Darwinian approach to politics is fast losing its relevance and that popularity and goodwill lie with the people, ultimately. 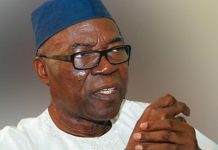 Although there are speculations that the losing camp of the APC power tussle is considering a defection to the Alliance for Democracy (AD), a platform it tried during the Ondo election and lost and which it almost tried again during this bye-election as Hussein was said to have been prepared to defect the Monday he was eventually cleared to contest the primary, nothing points to the fact that the idea would turn out a good option. However, lest they learn from this particular experience â€“ the second in a row â€“ even more debilitating embarrassment awaits them. Then, there may not be another opportunity to redeem this growing demystification. The game is on!